Process Equipment Design Validation - Why is it required? 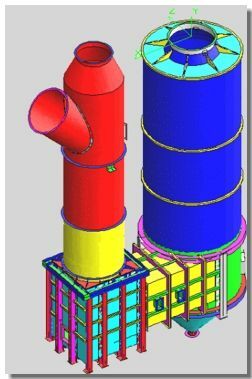 Process equipment Designers rely on relevant Standards and Codes, such as ASME Section VIII Division II (Pressure Vessels), BS, API, EJMA, TEMA to size designs and arrive at Factors of Safety based on selection of material and permissible/ operating stresses. Such Design calculations are a pre-requisite for any further refinement in design. 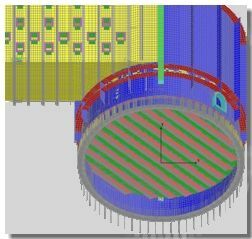 The Codes and Standards have, over a period of time, started to stress the importance of Finite Element Analysis as an effective design validation tool and incorporating the same in their recent revisions. While there is no contention on the efficacy of the Codes and Standards, it is imperative to incorporate emerging and proven technoloiges that are available today to provide the best possible designs to customers while addressing cost and safety challenges. 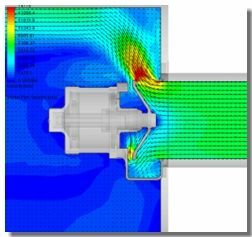 These are the areas that SolidWorks Simulation helps deliver early in the design process. Would a customer buy an over-designed equipment at a higher cost? Is the life of an equipment, delivered under warranty, known before supply? Are all the failure modes of the equipment known and validated before supply to end customer? If a 10% savings in material is possible with Design Validation, will this turn into higher profitability? What is the technical superiority over other Vendors delivering the same equipment at a lesser cost? 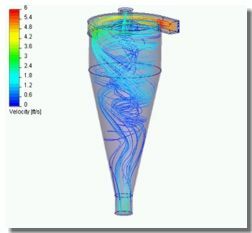 Would a customer be willing to pay more if he is empowered with Simulation reports showing higher life, better efficiency and lower run-time cost?